Benefit from some one-to-one support and attention at a private yoga class! There are many different reasons to choose some private yoga sessions. 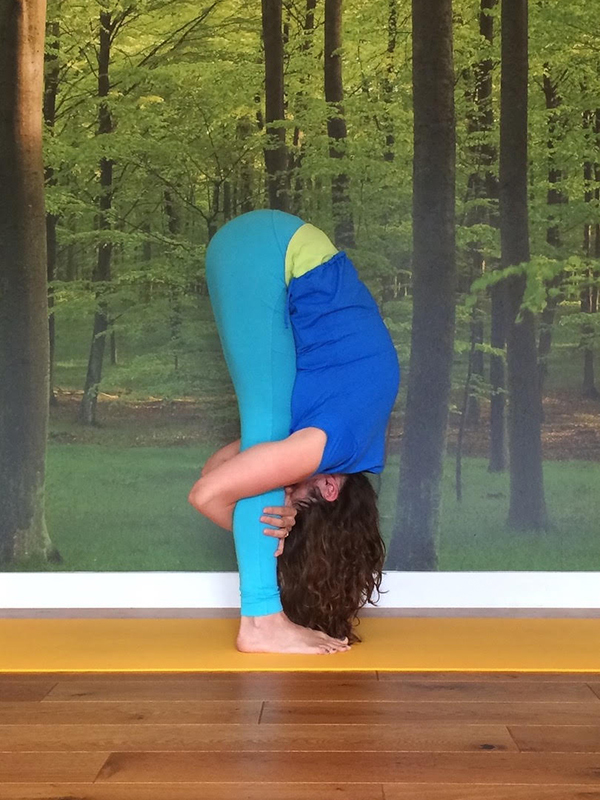 Initially it’s a great way to safely start a yoga practice. At private class you yoga instructor can directly assess your needs and requirements as well as showing you areas where you might need extra help or support. Beginning with a series of two to six sessions can give you the tools and confidence to safely launch yourself into group classes in the knowledge that you are working your body within its capabilities. A private yoga session can also compliment group sessions perfectly. Perhaps consider taking a private yoga class once a month or quarterly to check that your regular practice is not dropping into bad habits or leaving you confused about a particular pose or movement pattern. Finally, private sessions are wonderful if you have a specific issue that you wish to address such as stress, depression, illness or rehabilitation from a recent operation or injury. Our private sessions are normally one hour and cost £60 per hour for 1 or 2 students. We offer other options for larger groups or special occasions. Most private classes are taught by Lead Yoga Teacher, Lucy Parker. Greta Sani also teaches students privately at Flow on a Tuesday or Thursday at 11am. A private one to one with Greta is a wonderful opportunity to tailor the practice of yoga to a student’s needs. Whether a complete beginner wanting to build confidence to join an open class, a more seasoned student wanting to deepen their practice or a student who is either recovering from surgery, post-natal or has particular requirements. Greta offers an individual and truly rewarding personal yoga experience. Restorative yoga is about letting go and just being. Give yourself the opportunity to relax in a way that many of us have forgotten is even possible, soothing away the stress and strain of everyday life. During a restorative yoga class you will be fully supported by props in each posture, easing your body into a deep relaxation. The lights are dimmed, the room is warm and the atmosphere is infinitely calm. 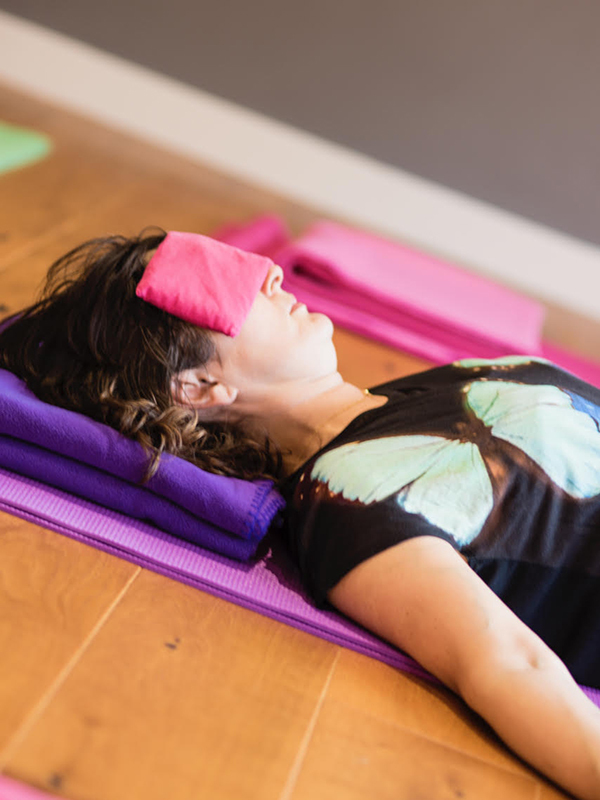 Restorative yoga classes work best as private sessions so that we can tailor the session to your specific needs. Please be sure to read our policies before your first session. Lucy Parker is available for Private Yoga sessions daily but is often fully booked. If you can’t find a suitable session using the form below please do email Lucy to request an appointment. Greta Sani is available for Private Yoga sessions at 11am on Tuesday or Thursdays. Please fill in the form to request your private yoga session with Greta.